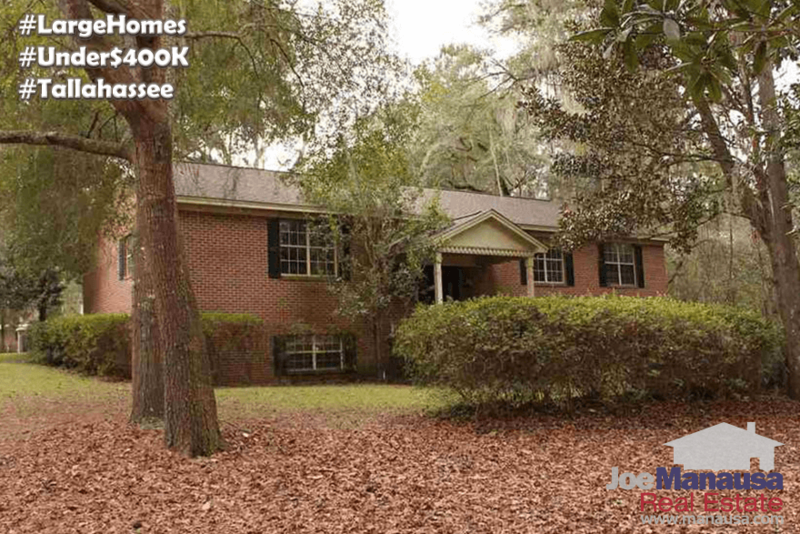 If you want a large home in Tallahassee and you don't want to break the bank, there's not much out there to see. In fact, there are only 20 homes for sale in Tallahassee OVER 3,000 square feet that are priced UNDER $400,000. The Tallahassee real estate market has certainly changed over the past five years. Most visibly, the inventory of homes for sale is now about 1/3rd of what it was in 2008, and that means the positions for most sellers and buyers have switched. Instead of too many homes for too few buyers, we now how too few homes for too many buyers. And I bet you know how that is impacting home prices. While "big" is a relative term, the fact is that Tallahassee homes are larger today than they were in the past. I believe this is primarily due to the availability of "cheap" money. Over the past ten plus years, we've seen mortgage interest rates go from around 8% to well below 4%. That means the rate charged to people building new homes (and adding on to existing homes) is less than one-half the average rate charged over the past fifty years. A lower interest rate loan means that people can buy or build "more house" without seeing their monthly mortgage payment rise beyond their comfort zone. As with all things American, "super sizing" has hit the housing market. There was a period of time where the supply of these super-sized homes was so vast, you could practically steal them. If you are reading this and you purchased a larger inexpensive home over the past five years, CONGRATULATIONS! You are sitting on equity. You have an asset that the market is seeking and you can sell it for a profit whenever you are ready! One key to getting a great deal on any home is understanding supply and demand for the area and price range that you are seeking. If you are more concerned with the size of your home than its location, going "further out" will likely land you are larger home, on more land, for less money. Location is always a factor of value, even when we talk about the largest homes for sale in Tallahassee. Of course, the most important factor when buying a home is the team you have working on your behalf. If you go it alone, you'll likely miss out on the best opportunities in the market or you will will over-pay when you do find the right home. But if you hire the best-trained real estate buyer's agents to assist you, you'll end up happy. How do I know? Just check out what our past customers say about their experience buying a home with Joe Manausa Real Estate. Some of those testimonials are shown below.